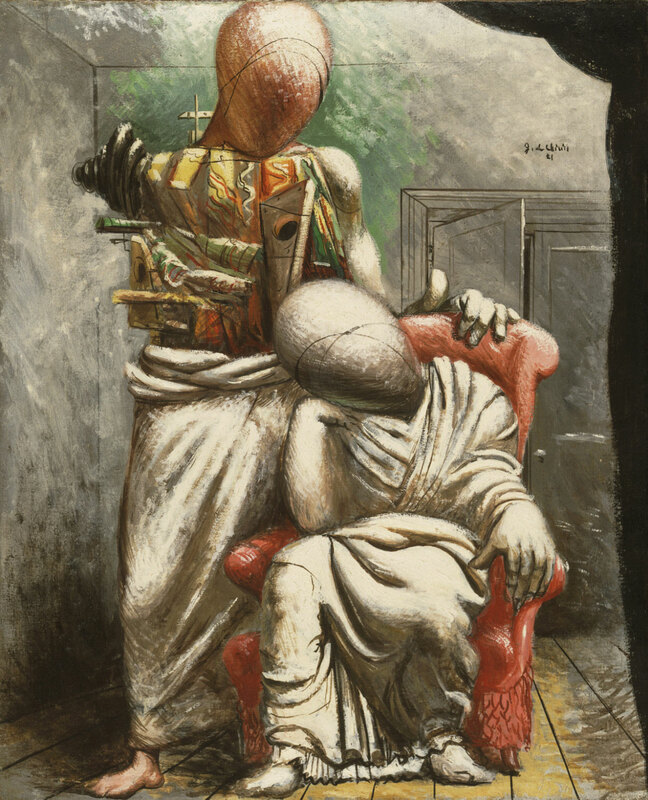 Though many of his paintings predate the start of Surrealism, Giorgio de Chirico had a profound impact on the movement. His starkly lit structures, desolate expanses, and inanimate figures are echoed throughout Surrealist landscape and portraiture. De Chirico’s uncanny merging of classical and modern imagery also helped define a new mode for evoking memory and fantasy in the visual arts. In this painting, created during the moment of the artist’s most direct involvement with Surrealism in Paris, mannequins represent a poet, seated, with his muse, whose toga falls back to reveal an interior of colorful blocks and tools.